How to earn financial aid in exchange for service, such as through AmeriCorps, Bureau of Health Professions, Indian Health Service, military academies, and the National Health Service Corps. · How to get repayment assistance from the U.S. Department of Education. This page is recommended to potential postsecondary students of all ages, whether it is to help young people learn early that college and job training can be affordable, to help high school students apply for postsecondary education, or to help adults in search of job training or a degree in order to change careers or move up in their profession. And remember, federal financial aid is available not only for college students – those who attend a career training program are also eligible as long as they are working toward a certificate or degree. The A.W. “Winn” Brindle Memorial Education Loan program was established in memory of A.W. “Winn” Brindle, who was president of the Wards Cove Packing Company and Columbia Wards Fisheries. It is funded by private donations and contributions from fisheries in exchange for state tax credits. The Winn Brindle Memorial Education Loan provides funding to cover educational expenses for students enrolled in a fisheries-related field. Borrowers may be eligible for up to 50% forgiveness of their loan debt when they return to Alaska and work in a qualifying fisheries-related field. The Alaska Native Tribal Health Consortium seeks a dynamic and proven leader to serve as its Chief Workforce Officer (CWO) and help the company achieve its vision that Alaska Native people are the healthiest people in the world. The CWO provides leadership in developing and executing workforce strategies in support of ANTHC’s overall strategic direction, specifically related in the areas of succession planning, workforce management, training and recruitment. For more information or to apply, please visit www.anthc.org. Get Out The Native Vote Is Looking For Volunteers! 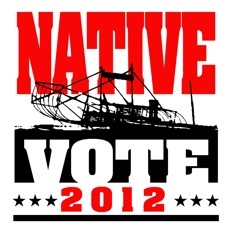 The Get Out The Native Vote Interior Campaign will have a table at Chief Andrew Isaac Health Center on the third floor from 10 a.m. to 3 p.m. August 6-10, 2012. Volunteers are needed to watch the table and hand out information in two hour shifts. Volunteers at CAIHC will receive a day pass to the Tanana Valley State Fair. If interested in volunteering, please contact Sharon Hildebrand at 907-459-2110 or at hildebrands@doyon.com. GOTNV is a nonpartisan effort that was started to increase voting among the Native community. Doyon, Limited; Tanana Chiefs Conference; and Fairbanks Native Association are working together in the interior on this initiative. For further questions or information about GOTNV, contact Sarah Obed at 907-459-2092 or obeds@doyon.com. Fellows’ projects will be expected to build on the foundation’s current portfolio by pushing beyond its boundaries and opening productive new lines of inquiry; asking provocative questions; challenging conventional wisdom; and developing new ideas, approaches and strategies. The Nathan Cummings Foundation values diversity; all qualified applicants will be considered without regard to ethnicity, religion, gender, pregnancy, sexual orientation, national origin, marital status, disability, veteran status or any protected characteristics as established under law. However, each applicant must be a U.S. citizen, work from the foundation’s office in New York City, have a track record of risk-taking, out-of-the-box thinking, and a proven ability to turn ideas into action. Applications are due by September 14, 2012. Learn more about this fantastic opportunity and the guidelines here. Temporary Job Opportunity in Valdez: Peak Oilfield Services needs 8 more Tank Cleaners here in Valdez (job order number 208944). It is a physically demanding job but pay is $25 per hour with opportunities for overtime. Tank cleaners typically work 12 hour days/7 days a week, with very few days off during the season (job usually over by mid or end of September). Peak will provide housing at the Valdez Airport Mancamp for those that are from out of town. Applicants must be able to pass a drug test, have a GED or HS diploma and a valid driver’s license. Contact the Valdez Job Center 907-835-4910 for more information and on how to apply. The Alaska Psychology Internship Consortium (AK-PIC) represents the collaborative efforts of five Alaska agencies to share resources and faculty for the purpose of providing a diversified educational program for doctoral psychology interns. The consortium was designed to prepare interns to meet the unique challenges of practicing psychology in rural and remote settings and to ensure clinical competency in working with Alaska’s various cultural groups. AK-PIC is a member of APPIC, and is currently under review for accreditation by the American Psychological Association. AK-PIC has a selection preference for applicants who are committed to remaining in Alaska to join the workforce following the completion of the internship. Comprehensive information about the AK-PIC program and the application process can be found at www.ak-pic.org. For your convenience, the Intern Brochure is also listed below. Prospective applicants should be aware that AK-PIC participates in the National Matching Service facilitated by APPIC. APPIC policy states that internship applicants must (a) be enrolled in a doctoral program in professional psychology that requires internship training, and (b) expect to complete practicum experience by the start of internship. Complete information about eligibility and registration requirements for the APPIC Match can be found at www.appic.org.